I flew from Adelaide to Sydney the other day- I stayed there for 6 hours then hopped in an afternoon flight back to Adelaide. 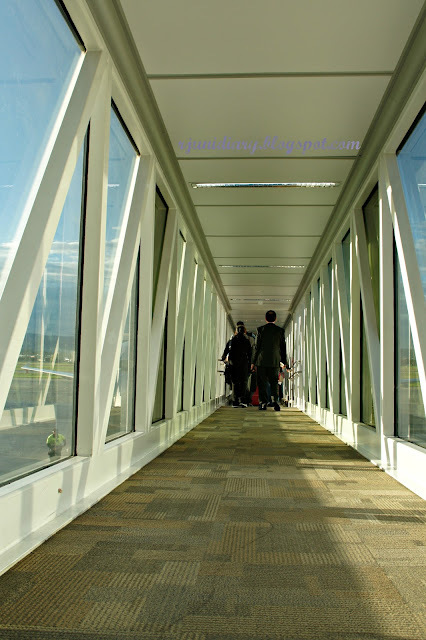 Boarding time at Adelaide Domestic Airport. But I didn't just simply eat my lunch there, I visited the Sydney Opera House, took the essential tour and discovered the magnificence and marvel of this famous Australian landmark! Do I still need to write a caption for this? As a full-time university student without any part time job, what I did was obviously very costly that some friends might be surprised to know why I was willing to spend for a six-hour Sydney getaway instead of purchasing something necessary for my studies or practically, just simply buying a 10-kg bag of rice from the Oriental Shop, milk, and other daily supplies that could last for a fortnight. Well, I consider that trip an essential, too! After spending hours of sleepless nights reviewing loads and loads of study materials since the 2nd of June... and the subsequent stressors I gave to my eyes, joints, muscles and nerves during the practical and theoretical exams, I believe that my mortal physique and my extremely fragile mind deserve a reward- a break from the four-week monotony in the university. Okay, I'll reveal my secret. 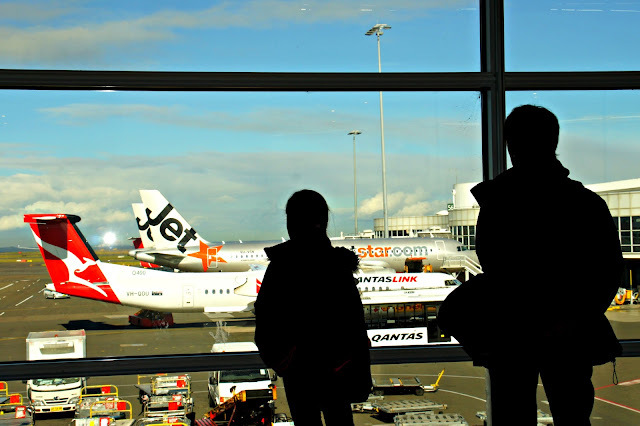 I am forever grateful to my Woolworth's Everyday Rewards card, Qantas Frequent Flyer membership points and to Jetstar airways for sponsoring my flight! 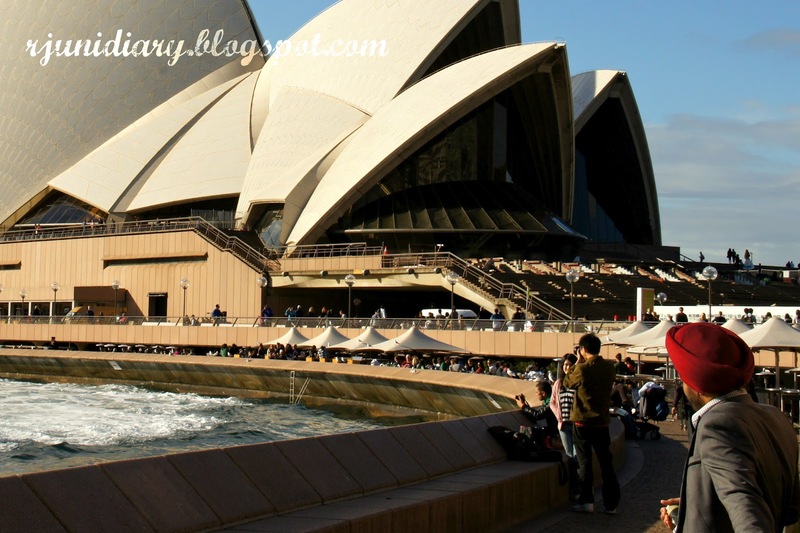 And since visiting the Three Sisters would oblige me to spend for my overnight accommodation, I opted to cancel my original plans to see the Blue Mountains and focus on a quicker yet meaningful activity that could make my short Sydney trip memorable. 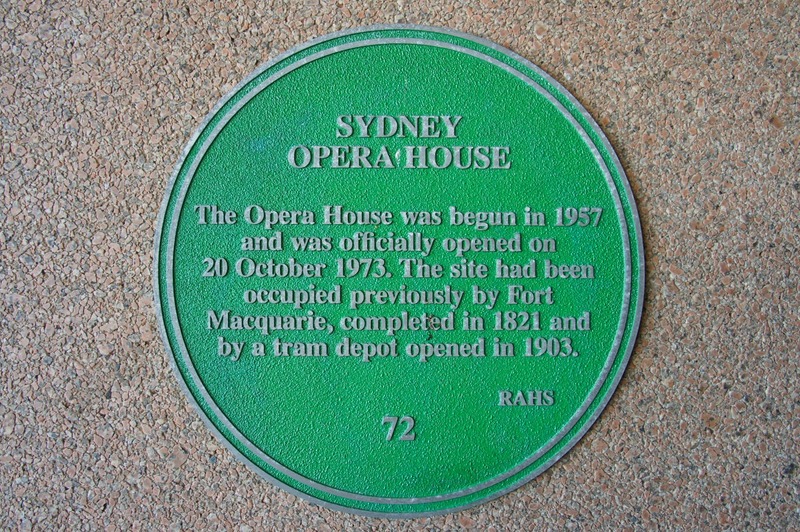 A bit of info for the tourist. That's how the idea of my Sydney Opera House tour was born. 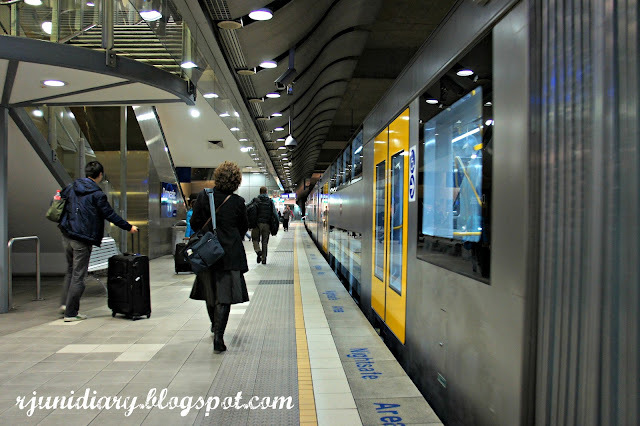 So I bought a day-trip ticket (Au$40) from the Domestic Airport train station that would give me the unlimited access to the ferries, buses or trains around the city for a day! I was so unlucky that the ticket booth didn't honour my student ID from South Australia, public transport services' student concession was strictly for New South Wales students only. 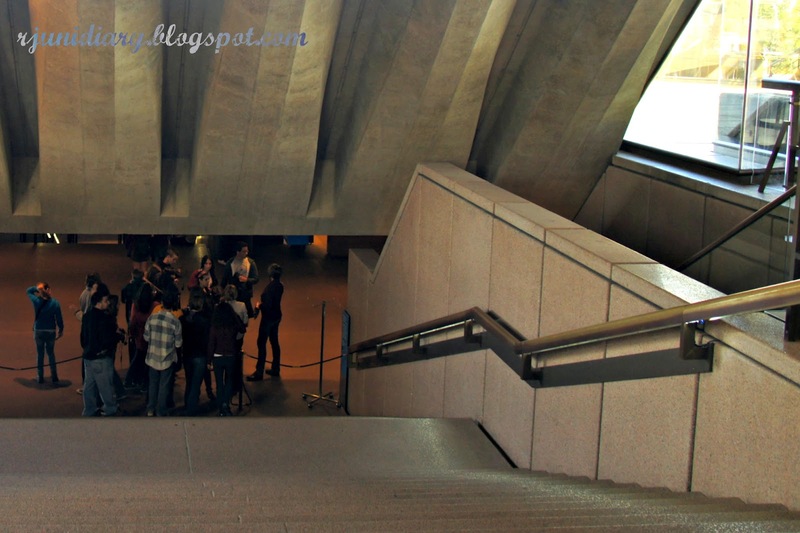 The tourists exploring the lines and curves of Sydney Opera House! 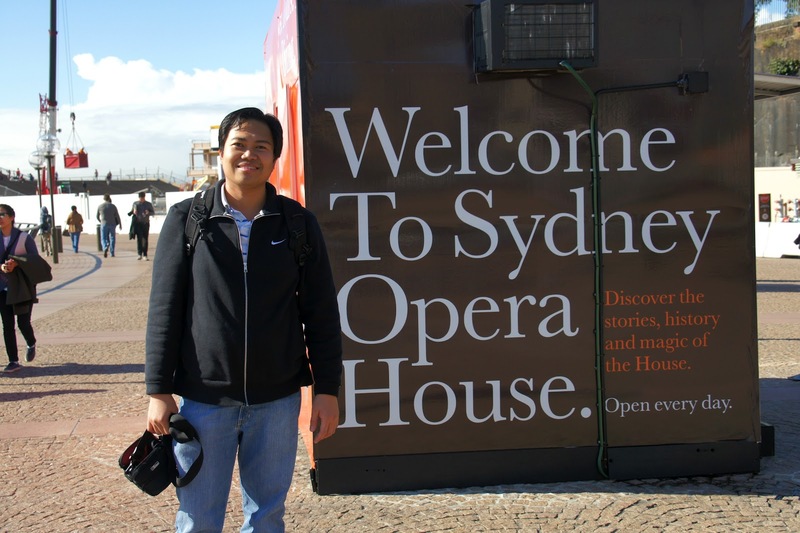 The tourist taking one of the stairways around the opera house. While the guide was giving some trivia about the glazed ceramic tiles of the Sydney Opera House, the tourists tried to examine the material right above them. Cleaning the entire ceramic roofing would cost Au$17,000! 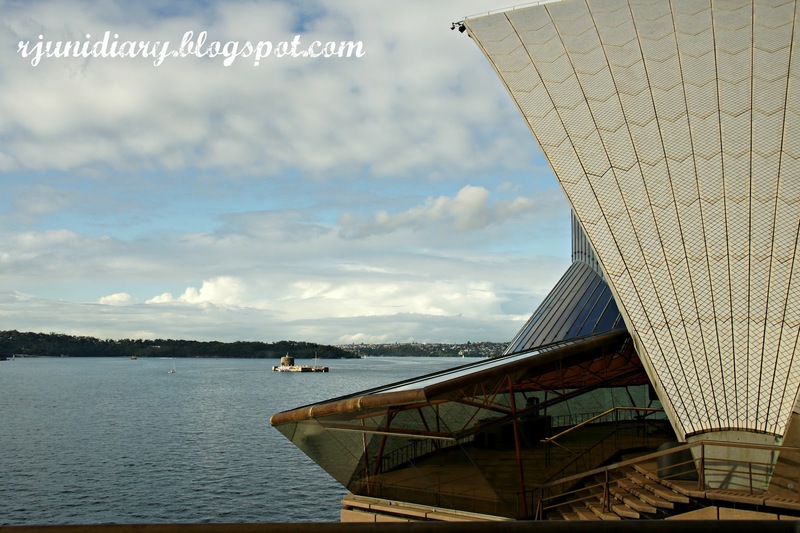 The total cost of building the Sydney Opera House was Au$102,000,000! The original design of the Sydney Opera House didn't include any escalator and public lift. These amenities were only added last 2008. 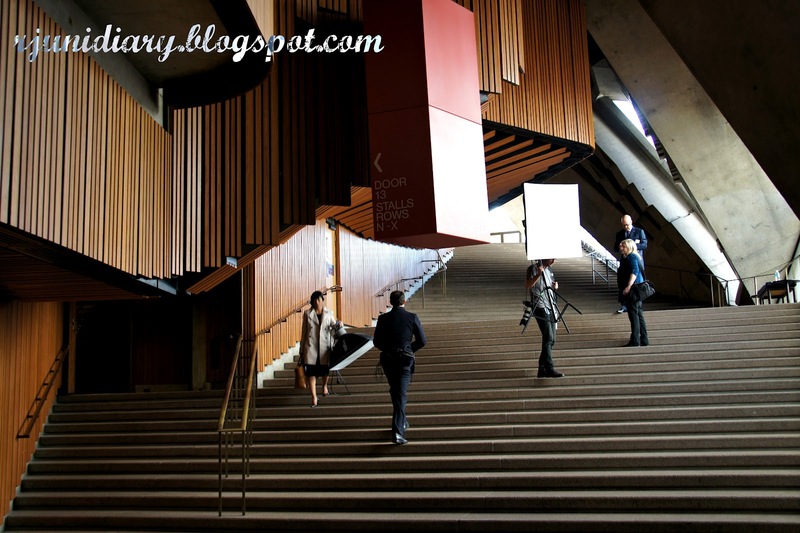 The staff and lighting crew of the Sydney Opera House. 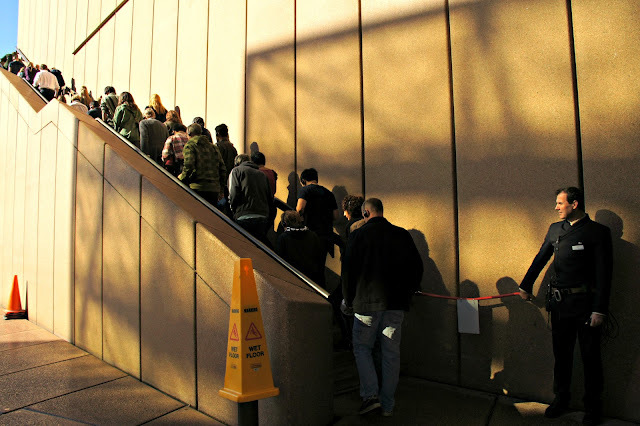 This stairway leads to the Concert Hall. 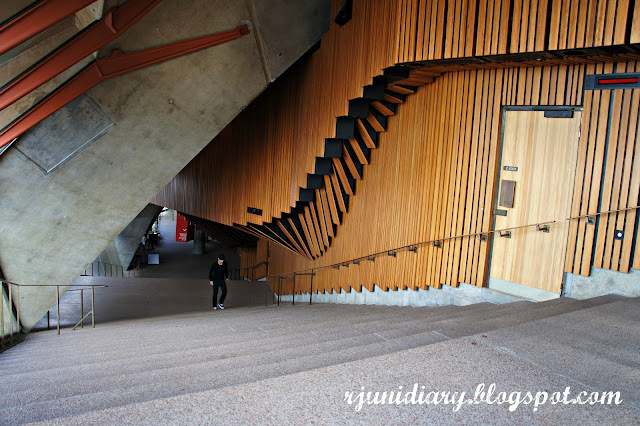 To complete the Sydney Opera House tour, a tourist needs to climb 150-200 steps. 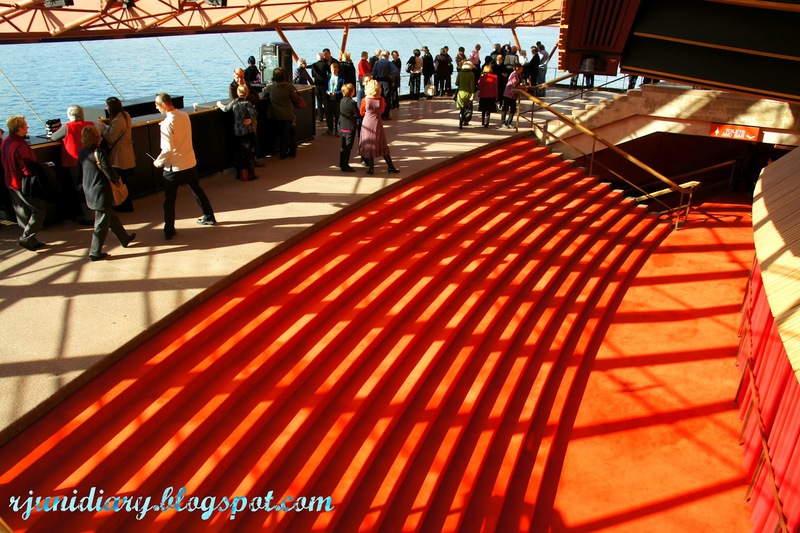 The Red Carpet... covering the stairs leading to one of the theatres in Sydney Opera House. 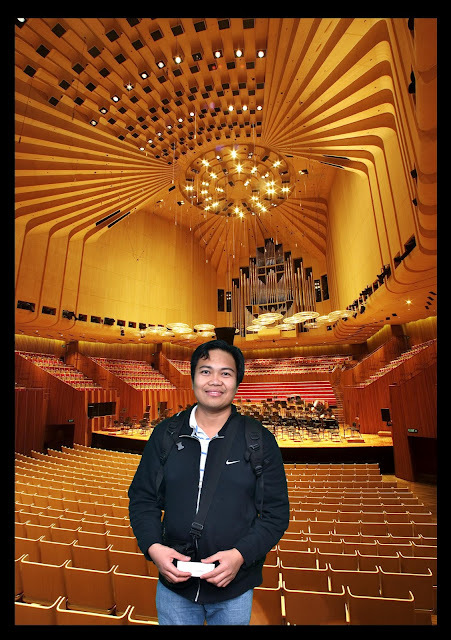 The Concert Hall of the Sydney Opera House! Seating capacity is 2,679. 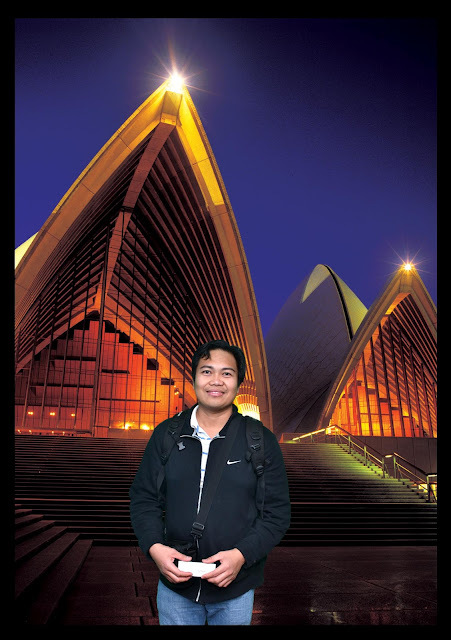 Photography was strictly prohibited inside, but thanks to the sydneyoperahouse.com/tourphotos- before the tour started, their photographer asked me to pose in front of a green curtain... and after the tour, dyarannnn! 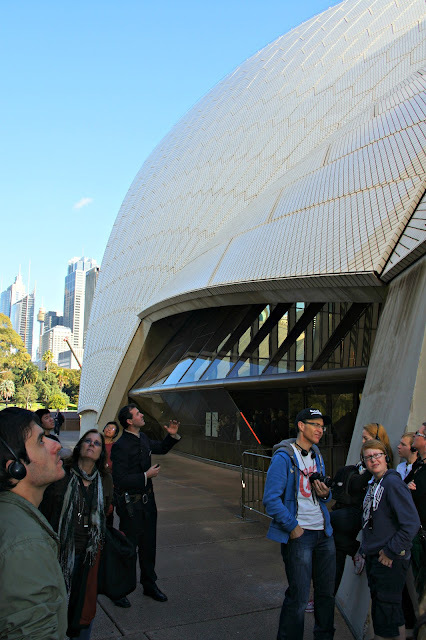 The tour lasted for almost two hours, and the guide was very accommodating (the one I had in The Great Ocean Road tour was a bit rude) and knowledgeable (well, he had to be); he shared heaps of relevant trivia about the Sydney Opera House. But because I had just finished my last exam 24 hours earlier, my mind was still exhausted... it was so selective that it has only uploaded a few of the numerous infos I've heard about the amazing stories of this magnificent architectural masterpiece! I didn't bother to open up my pen too, because I know that I can depend upon the generosity of Mr. Google about it. 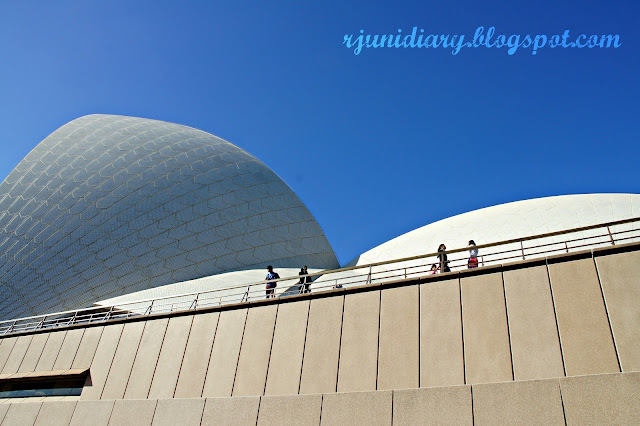 What do tourists do around the Sydney Opera House vicinity? (Another photo with a touch of magic! Thanks to the sydneyoperahouse.com/tourphotos.) Because of some complicated issues during the building of the Sydney Opera House, the Danish architect Jørn Oberg Utzon who designed this beautiful Australian icon left the country and died without even seeing his greatest masterpiece! So sad, isn't it? After the tour, I took the train from Circular Quay to Redfern station to get to The University of Sydney with a plan to visit the School of Veterinary Science but time didn't allow me to do it, I had to be back to the domestic airport by 4:30PM to check-in for my flight back to Adelaide. 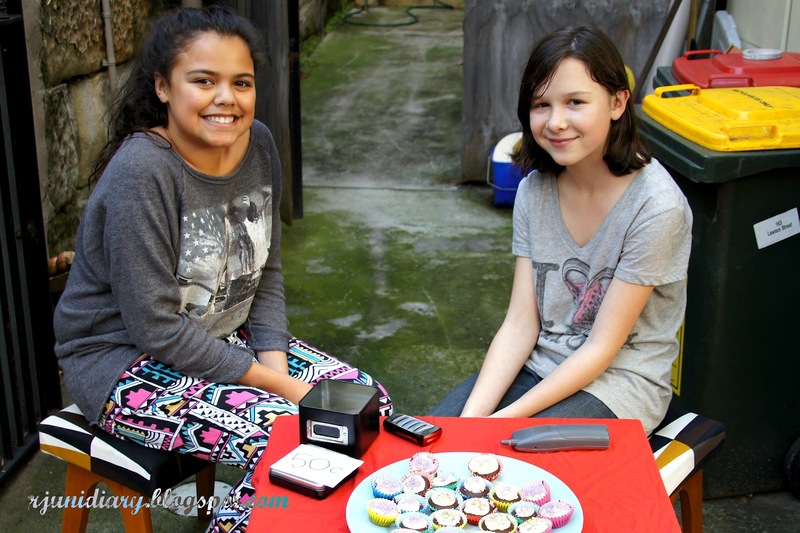 Young Australian ladies selling homemade cupcakes at Abercrombie St., Redfern, New South Wales, Australia. The street leads to the gate of The University of Sydney. Just in time for my check-in... the train arrived at the Domestic Airport station a few minutes before the check-in counter closed. Honestly, I only took a very simple meal in Sydney: I had a Chinese combo somewhere at the Central station and had a Middle Eastern pack at the airport in the afternoon. It didn't really matter to me, 'coz my Sydney Opera House discovery tour was impressively splendid! 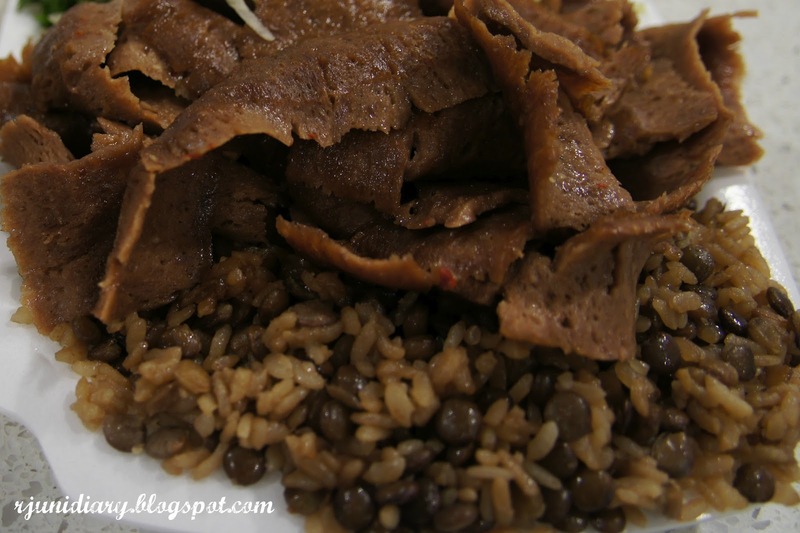 My kebab and rice-bean combo at Sydney airport. I bought a bottle of diet Coke to push it through my throat. During my two-hour flight back to Adelaide, I was asleep. My friend Anna and her husband John picked me up at Adelaide Airport. Anna had thoughtfully prepared a huge tilapia cooked in coconut cream with ginger; eaten with spicy shrimp paste and steamed rice, that was a perfect supper! Then I drove back to Roseworthy... washed, brushed, changed and lay on my bed. Somnolent, I smiled as I closed my eyes to start a deep slumber. Madonna and Child. Sydney Domestic Airport, New South Wales, AUSTRALIA. 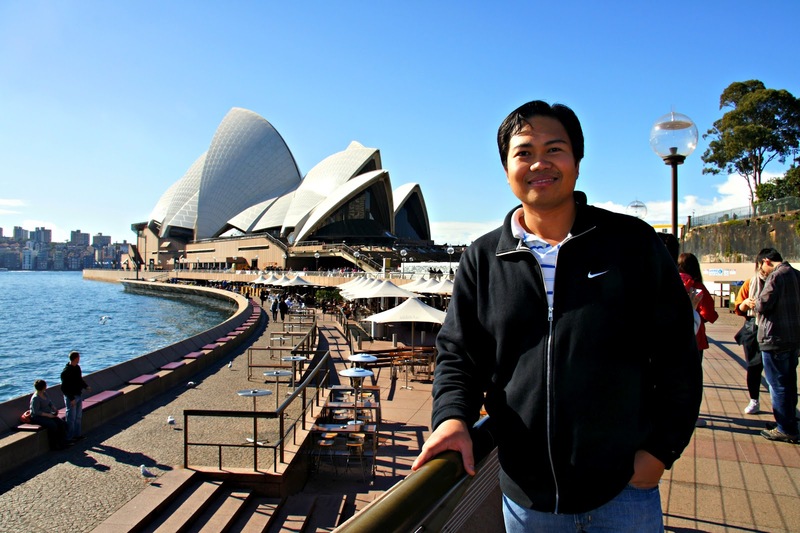 I wonder why you did not spend the night at Sydney and fly back the next day. Para namang visitang marino ang ginawa mo LOL. I don't want to spend for my accommodation and may kailangan pa pong ayusin sa university the next day- ang mga subjects next sem. Kaya ako bumalik kaagad. Yehey, finally nakita kita uli doc RJ.. so glad to see you.. a bit sad though ksi wla na yung mga manok.. but i believed you're into something bigger.. good luck, doc!